Which Rebuildable Atomizer Should You Buy? Rebuildable Atomizers have become the fruit of the industry, the newest generation of atomizers that has seemingly brought life back into those veteran of vapers, and it’s even starting to rub off on the newer crowd as well. There’s so much to learn with rebuildable atomizers and just as you once were when getting into the e-cigarette scene, confused and asking question after question, you’re dealing with the same questions again. That’s one of the best perks to this alternative, never enduring a dull moment. 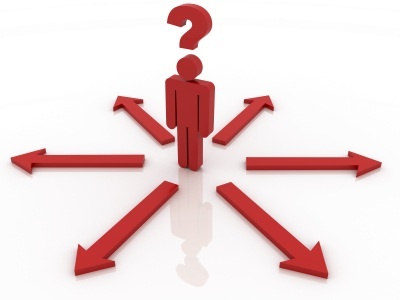 One of the first and most asked question is which rebuildable atomizer should you buy? 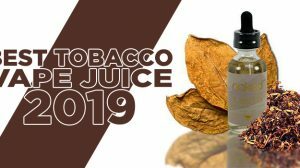 – There are a couple different styles of rebuildable atomizers, the rebuildable dripping atomizer (RDA) and the rebuildable tank atomizer (RTA). When someone refers to an atomizer as a rebuildable atomizer, they could be talking about either style or both overall, like I’ve done in this title. An RDA is much like a disposable atomizer, except that it was designed to be user-friendly and gives you the ability to rebuild the atomizer yourself. The RDA was made for dripping, just as the name says. 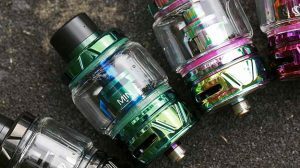 An RTA was also designed to be user-friendly and gives you the ability to rebuild the atomizer yourself. However, the RTA makes use of a tank, just as the name says. Typically, a wick will go from the inside of the tank up to the top deck (if it’s a top coil) where it will meet with the built coil. 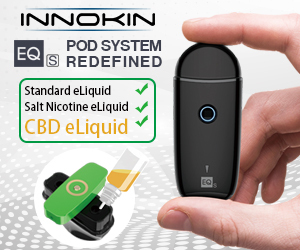 With that said, you’ll need to decide whether you want to drip e-liquid onto your coil or make use of a tank system. If you’re wanting to go the dripping route, I have a few recommendations. However, these recommendations depend on what you’re wanting most out of your dripper. For example, some vapers get a certain dripping atomizer because it’s best for flavor, while others are best for vapor production, and then others are some-what in between where they’ll offer both. I’ll list my recommendations on rebuildable dripping atomizers below with what those atomizers are best known for. Derringer Rebuildable Dripping Atomizer: This is more known as a flavor RDA, but because it has outstanding airflow, you can produce big clouds with it also. Mephisto V2 Rebuildable Dripping Atomizer: This is more known as an RDA that hits the best of both worlds. Expect great flavor and even better vapor production. Dark Horse Rebuildable Dripping Atomizer: This is more known as a cloud maker RDA. Flavor won’t be as great as others, but you’ll chuck large clouds. 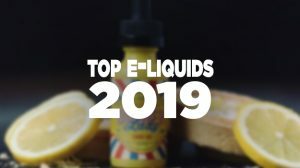 If you’re more into using a tank, I have a few recommendations, the first being the Kayfun Series atomizers – which was voted the Best Rebuildable Atomizer Tank System on Guide To Vaping’s Best of 2013 and Guide To Vaping’s Best of 2014 community event, but is most known for flavor, not clouds. Moving on, there’s only one other rebuildable tank atomizer that I would recommend at the moment, and that’s the Kanger SubTank Mini, which is a hybrid clearomizer. This clearomizer gives you the ability to use it with pre-made coils just like any other clearomizer, except that they are Sub-Ohm coils. 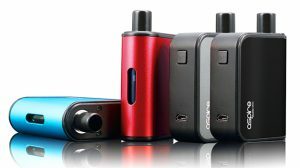 However, it also gives you the ability to rebuild on its include rebuildable atomizer deck. Using this hybrid will be best for clouds and flavor. These are all just recommendations, and you may like some, while you may not like others. The best thing to do is experience them for yourself.